Versions of name: Brūnsa muiža, Baumhof? 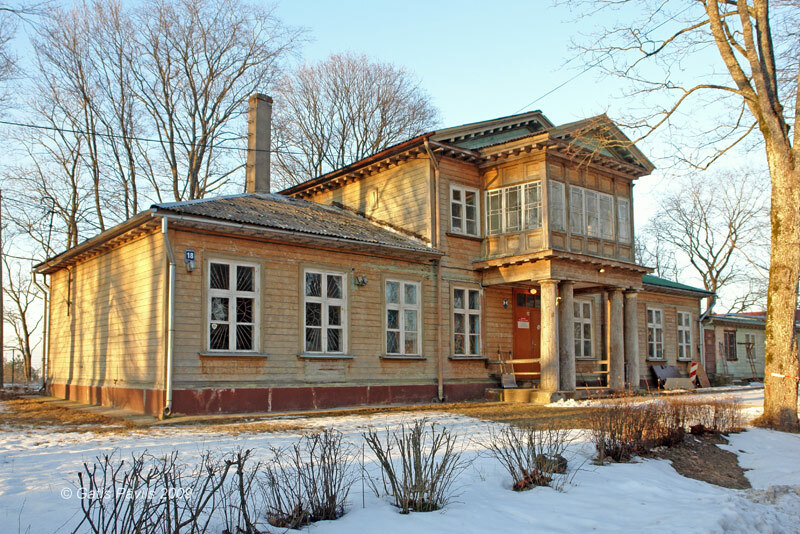 This wonderful Neo-Classicism wooden building has been built at the end of 18th century (beginning of 19th century?). In the map from late 19th century (Riga surroundings by Mellin) at the southern bank of Jugla Lake there is shown manor with name "Baumhof" - possibly the same manor. Now in this building there is house-manager's office "Brekši". 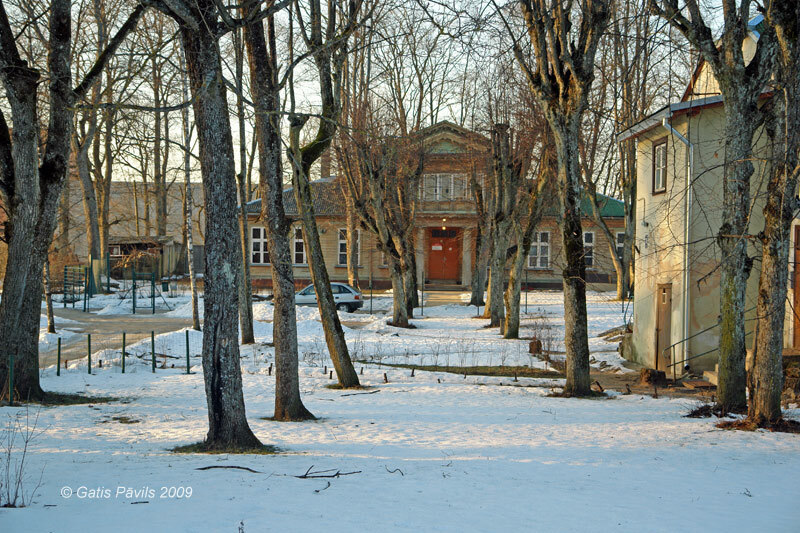 Building has been surrounded by buildings from lat 20th century which disturb view towards the manor house.